Life Coach Adam Tallamy came to chat to the team and really got us thinking. Big thanks to him, he's a real inspiration. 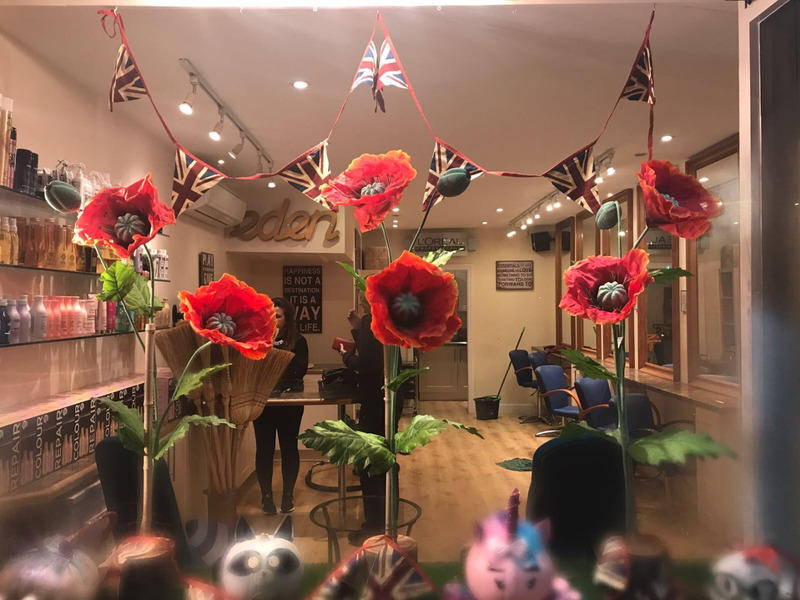 Our clients helped us to raise £71.69 for the Poppy Appeal, thank you so much for your support. 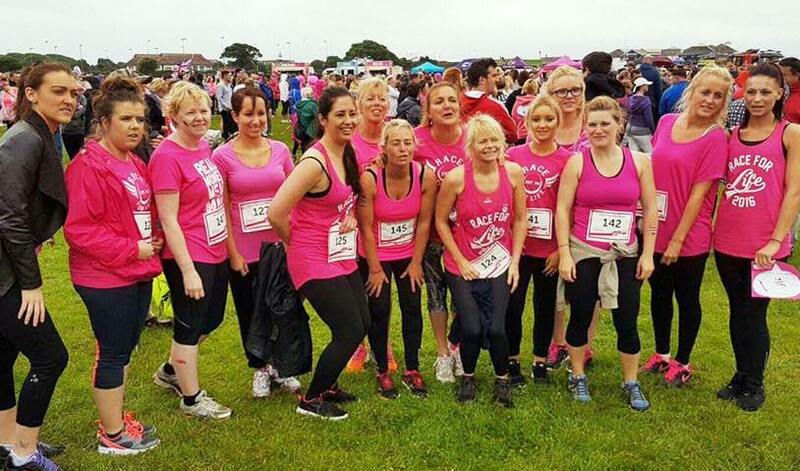 Well done to mother and daughter team, Julie our office legend and Aimee Receptionist and Beauty Therapist. 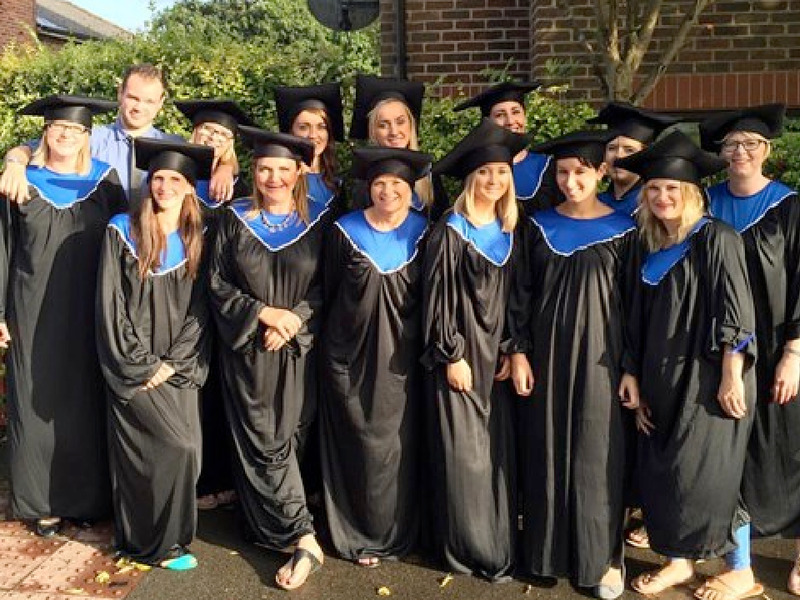 A lot of training was involved before this feat, we are very proud. We always have a blast at Goodwood, but this year was fantastic! We worked from 7am - 7pm Friday, Saturday and Sunday. 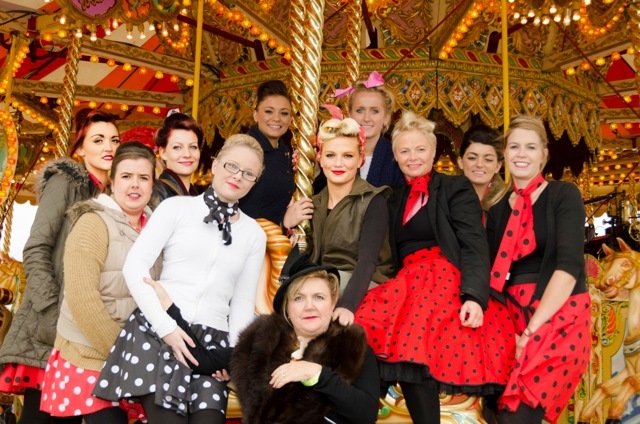 We had a lot of very happy vintage styled customers. We cannot wait for next year. 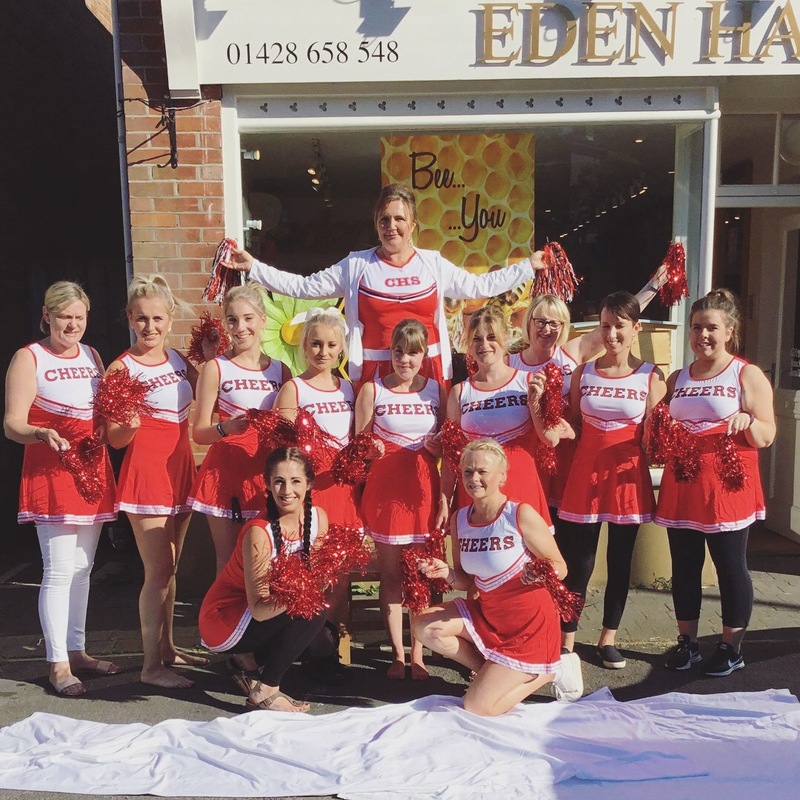 A superb Charity Fun Day was had by all thanks to the Eden Cheerleaders. 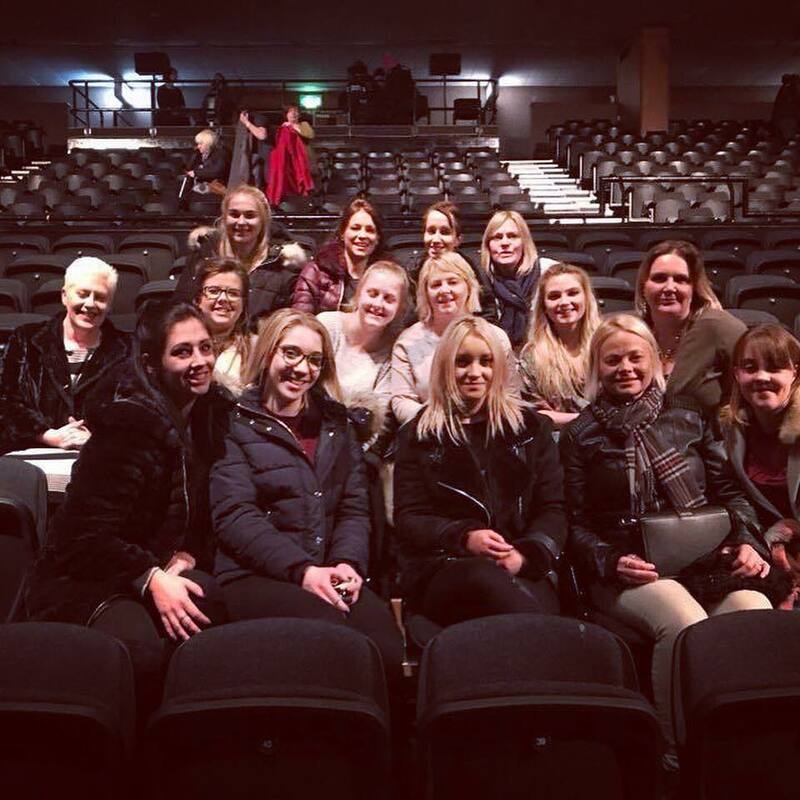 A great team trip to Brighton to see War Horse. 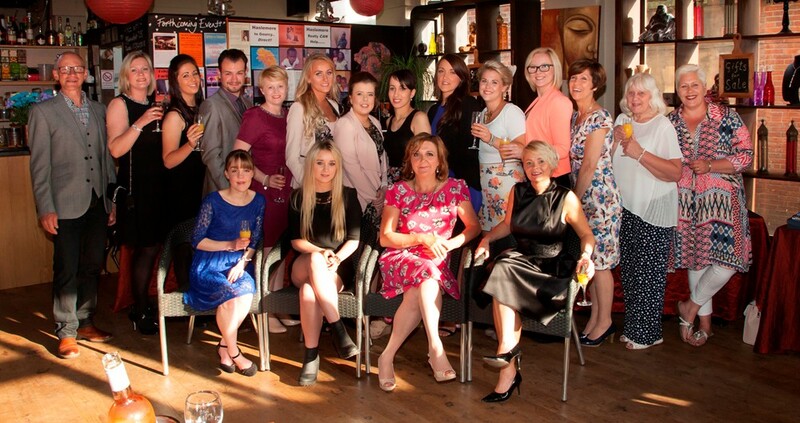 We've had a fantastic year and what better way to end than a good party! What a spooky end to October! 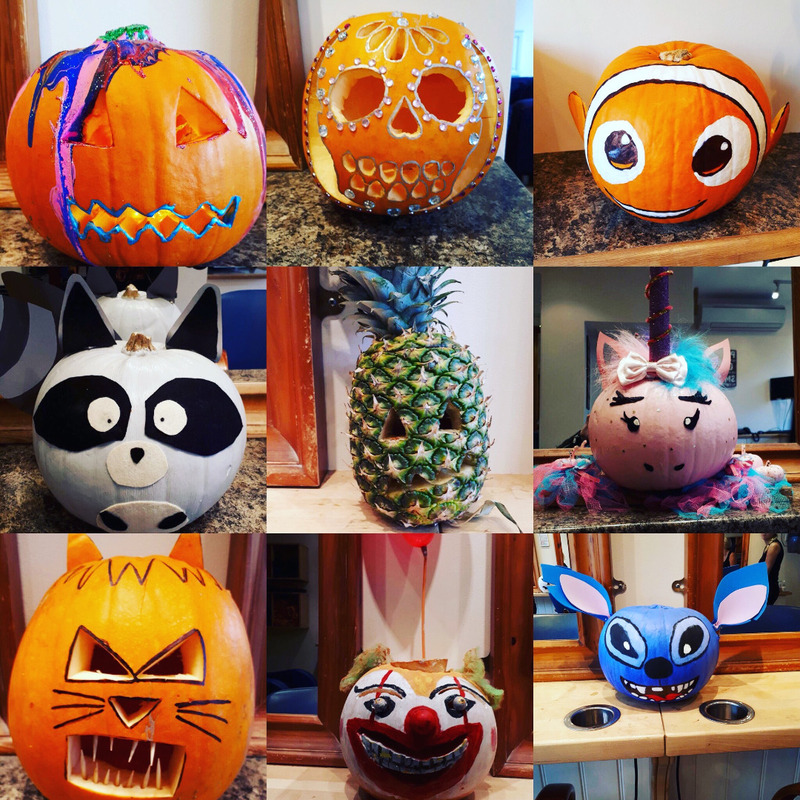 Not only were the team in ancy dress but the pumpkin carving competition was the best yet. 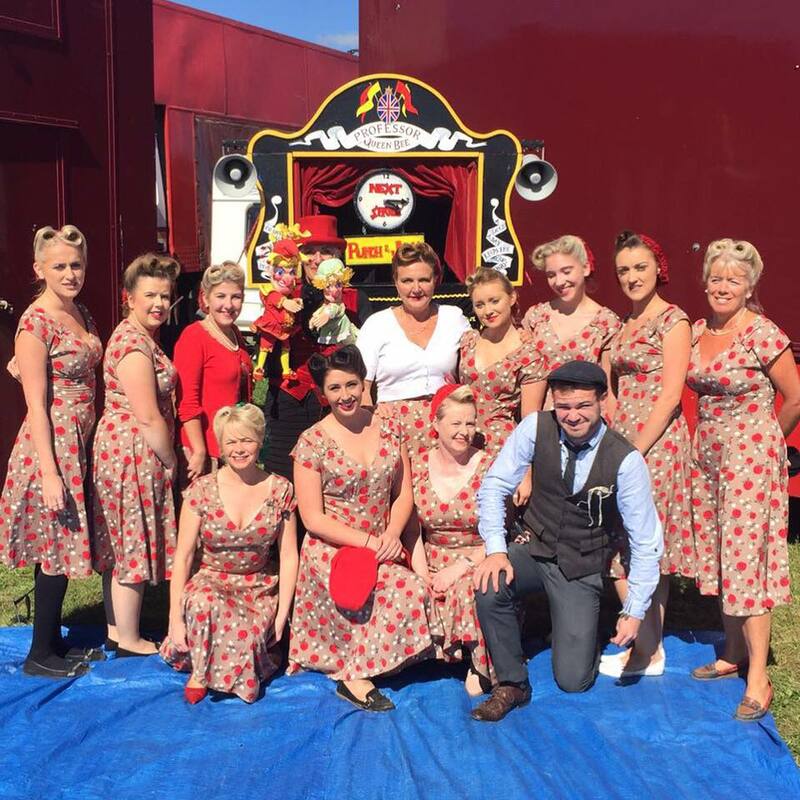 Goodwood revival festival success and what a year it was. 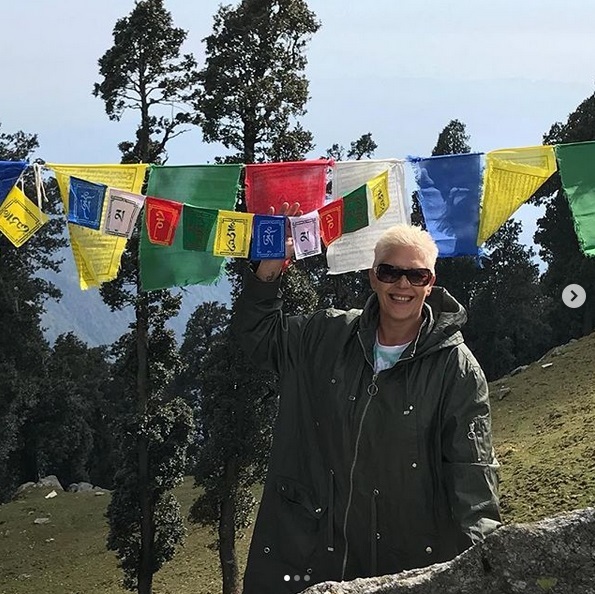 Record rainfall but our spirits were not dampened and a great time was had by all. 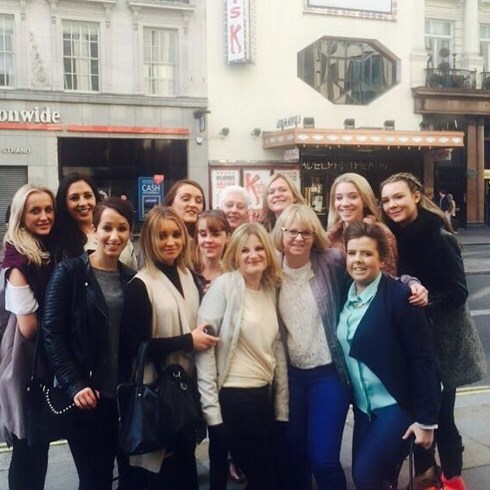 A sad goodby to Kelly, we wish her all the best as she starts her PGCE. But a warm welcome to our new Client Relations Manager, Will. What a fantastic afternoon with the team at @lythehill having our Christmas Afternoon Tea ?? ? ?and secret santa ??? ?present ??swapping. Feeling very Christmassy now!! The team dressed up in true spooky style! They looked great. We are now L'Oreal Colour Specialists! Well done to Sarah for all her hard work. Fund raising evening for Haslemere and Liphook Girl Guiding groups. Dressed in graduation outfits to celebrate Sarah's colour degree. 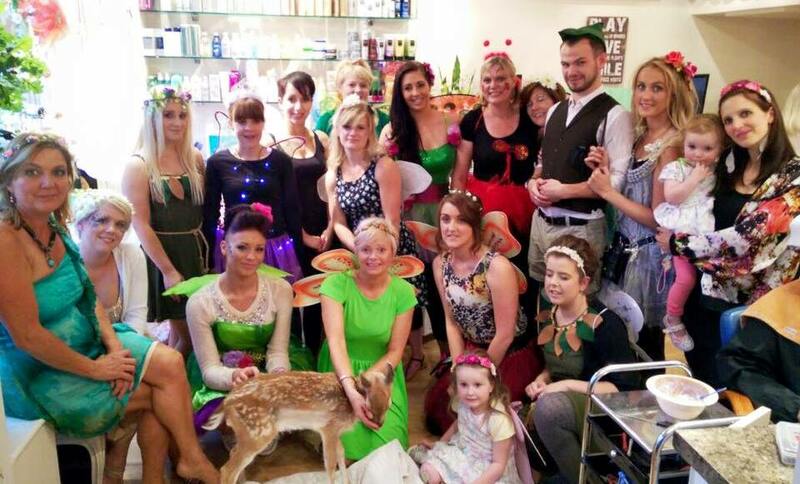 We raised £2000 in just 4 hours at our Woodland Fairy Charity evening. We gave 100% OFF ALL PROCEEDS to Haslemere Junior Football Club, Haslemere Borders Junior Athletics Club and Cancer Researches Race For Life. Eden Team Awards Night. Well done to all of our winners. A fantastic night was had by all. 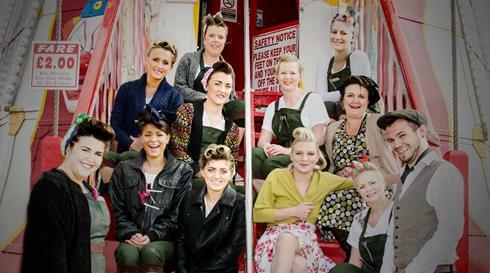 It was a fantastic weekend at the Goodwood Revival as The Victory Roll Hair Parlour. We were very busy but had a great time! 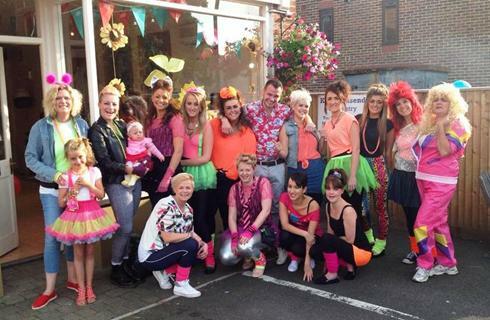 We raised nearly £2000 for the Alex Bolt Brain Tumour Fund at our 80's Disco Charity evening. 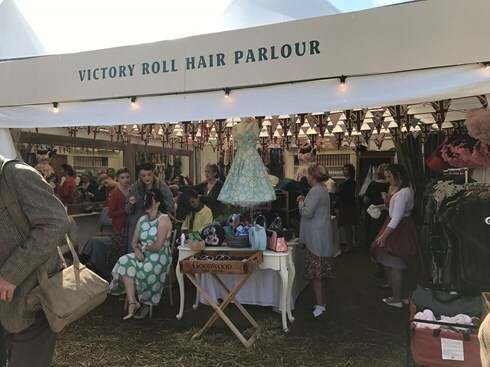 The launch of our Vintage Hair Pop Up Salon at Goodwood VIntage Revival. Team Christmas Party at The Hilton, Arundel. 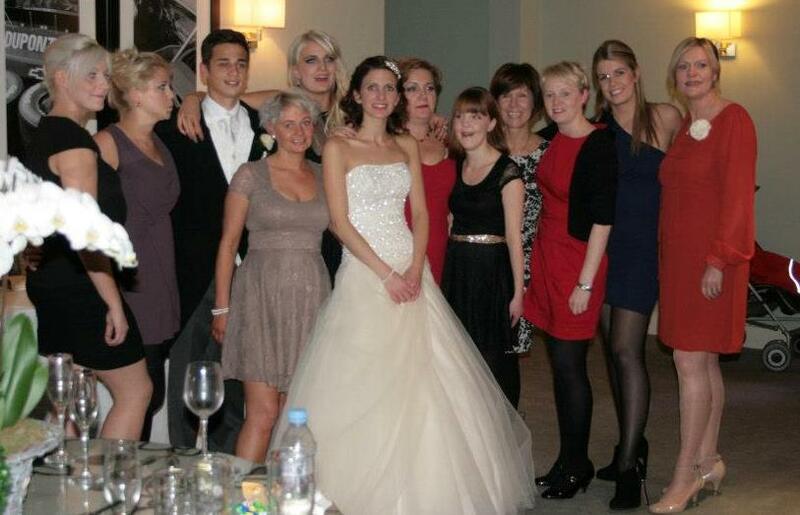 Client Relation Manager Kelly gets married at Goodwood Hotel to Will Hudson. 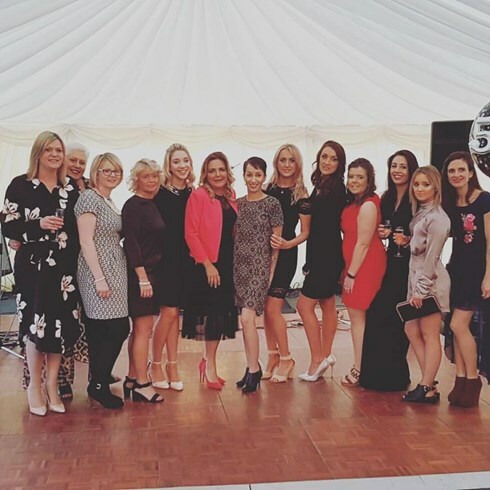 Well done to the team for the fantastic wedding hair styles, makeup, waxing, nails... and of course your moves on the dance floor! 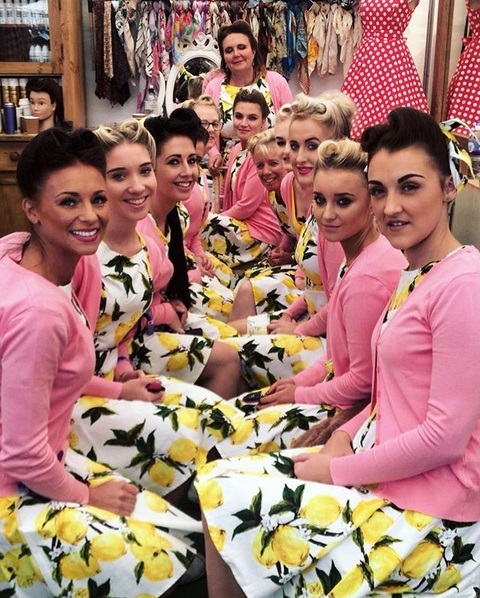 OK, the secret is out...... We were asked to do the hair for DON'T TELL THE BRIDE! 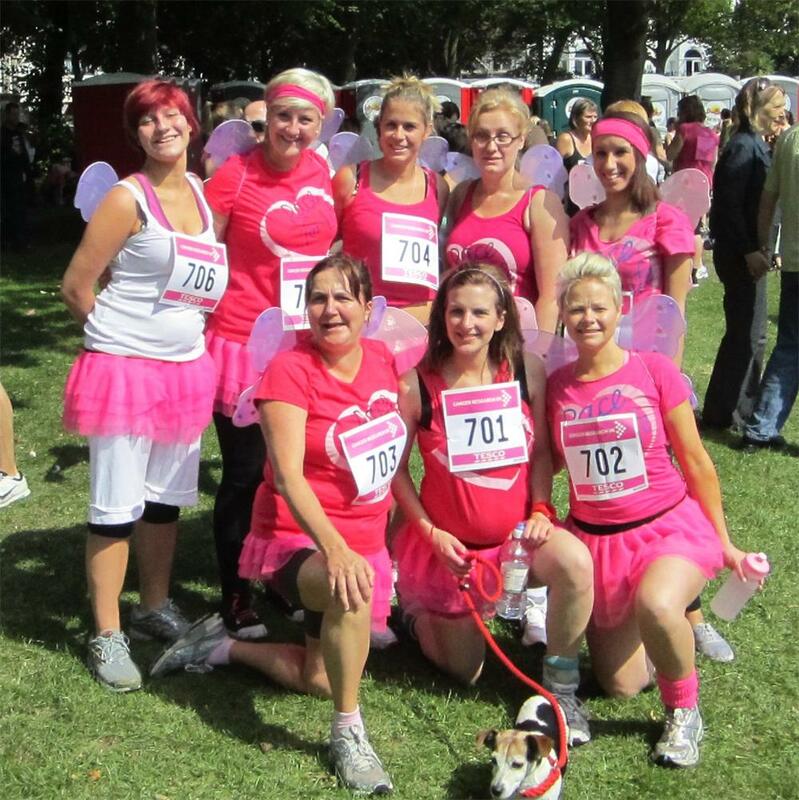 We raised over £2000 for Macmillan Cancer Support. The biggest and best even yet! 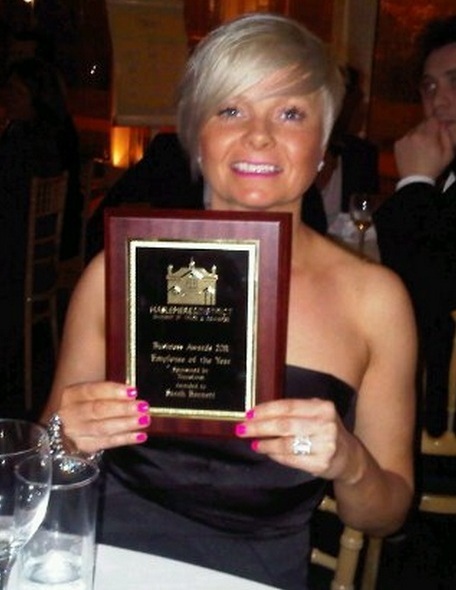 Winners of Best Customer Service 2012 at the Haslemere Chambers of Trade and Commerce Awards. 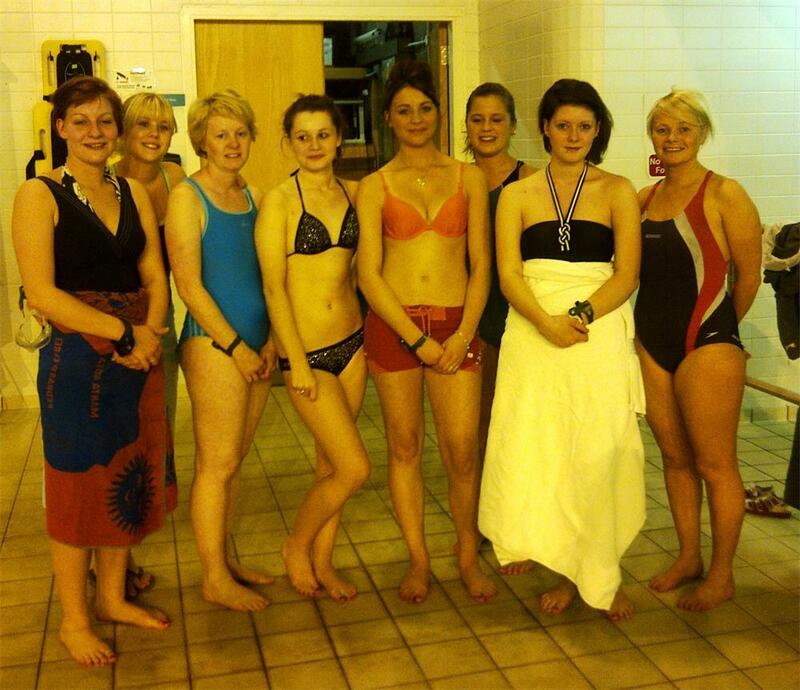 Marie Curie National Swimathon at The Herons Leisure Centre. 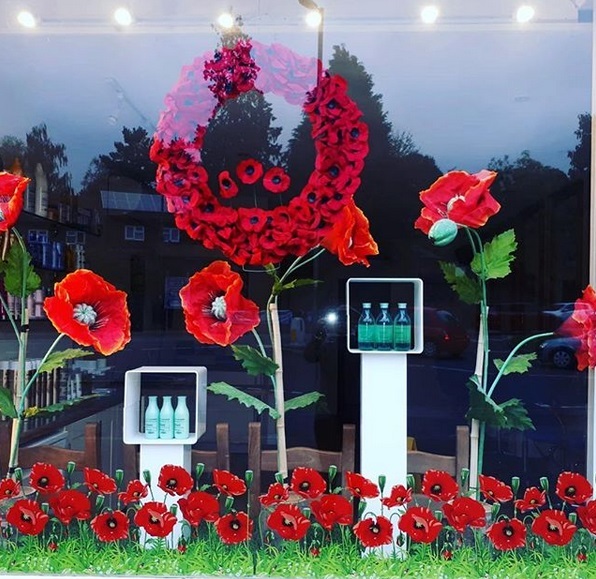 As if swimming 2.5km and running a Marathon wasn’t enough, Sarah went on to win Employee of the Year at the prestigious Haslemere Business Awards on Saturday. 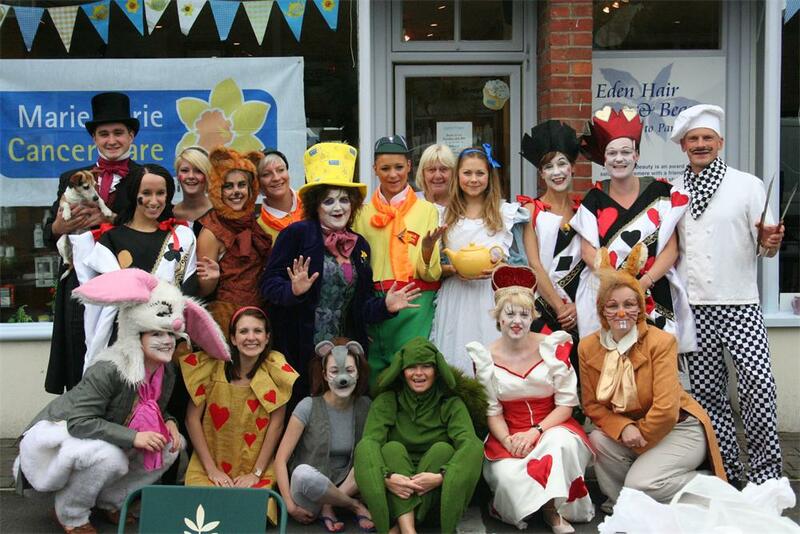 ... dressed up to join in with the Comic Relief cause this March. 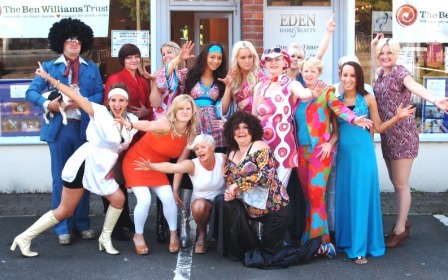 Amongst themselves, the team collected a hair raising £96.04 for the charity. March 2011. 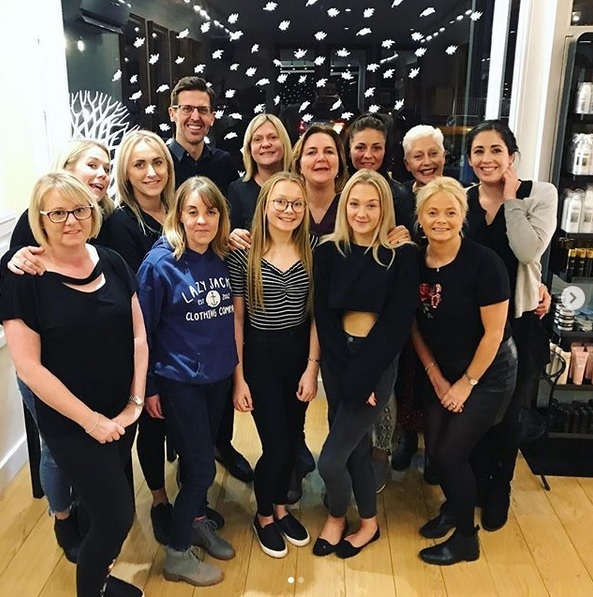 From mirror, style and manicure...to mirror, signal, manoeuvre for 7 of the Eden Hair and Beauty team members! 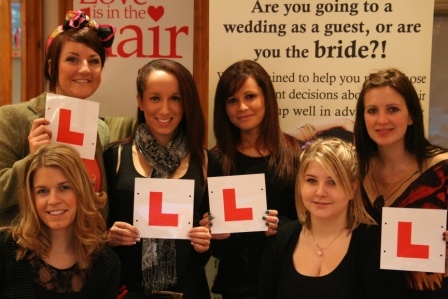 Good luck to Lola, Alex, Emma, Catherine, Sian and Charley who all have booked their driving tests for the next few weeks and have been revising together. 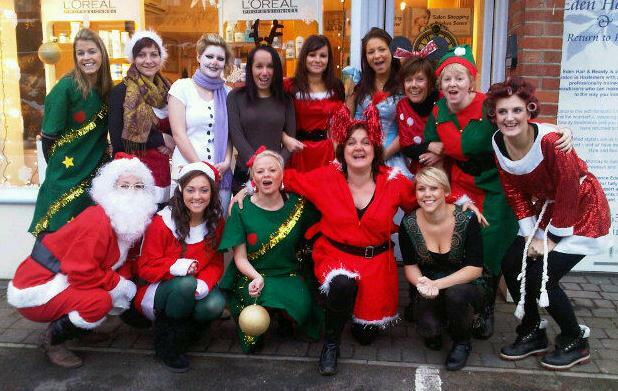 The team battled through the snow in December 2011 to make it in for (nearly) all of our clients...and as tradition has it, dressed up for the occasion. November 2010, clients gave us £76 in one day for wearing our pjs and bringing our teddies to work to help our Children in Need fundraising.